"I am a survivor: born into addiction and poverty, but grateful to be alive"
USCCB Submits Comments on Proposed HHS Rulemaking — Have you? 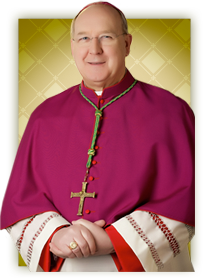 In light of recent news events, Bishop Kevin J. Farrell reminds all faithful that the Catholic Church is unwavering in Her teaching which states that through Divine Law, God is the giver of life. Human life and the duty and privilege of transmitting it are not limited to the horizons of this life only. As Catholics, God has empowered us to be partners with him and through mutual self-giving be open to his plan for new life. Human sexuality and sexual expression in marriage are among God’s greatest gifts. Artificial contraception violates the meaning of this gift. The mutual unconditional gift that a married couple offers to one another in love must remain open to render them co-creators with God in new life. Every Catholic has a serious responsibility to inform themselves about this teaching and to form their consciences in its light. Additional resources available at prolifedallas.org/contraception. 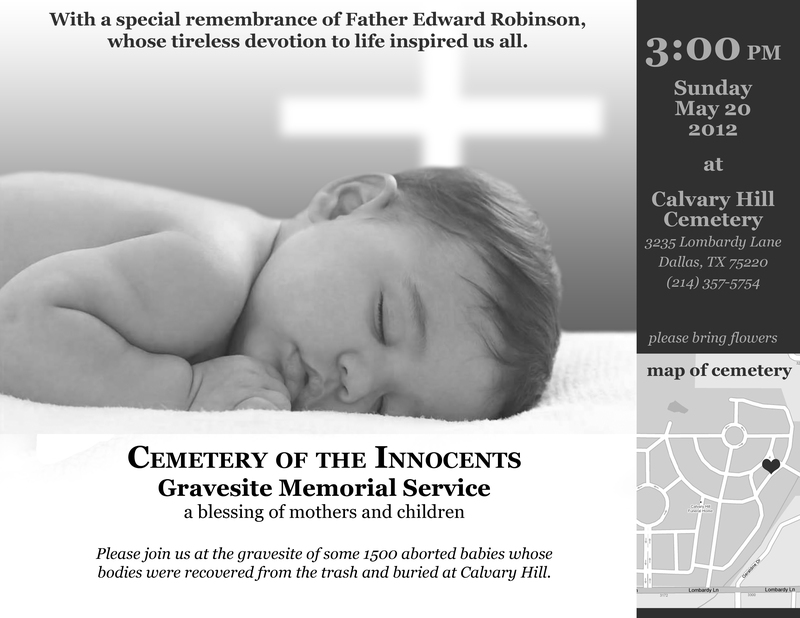 Cemetery of Innocents Gravesite Memorial Service – with special remembrance of Father Edward Robinson, O.P. Please join us this Sunday at the gravesite of some 1,500 aborted babies whose bodies were recovered from the trash and buried at Calvary Hill. The service will include a special remembrance of Father Edward Robinson, O.P., whose tireless devotion to life inspired us all. Fr. Robinson passed to his eternal reward on March 29 and is buried just a few feet from the babies. Please bring flowers. Editorial: "Disappointed But Not Surprised"
Have you submitted your comment yet? If not, please click here now.